Zero stress to components. Non-silicone and Silicone, One part/No Cure or Two parts/ Full Cure types. 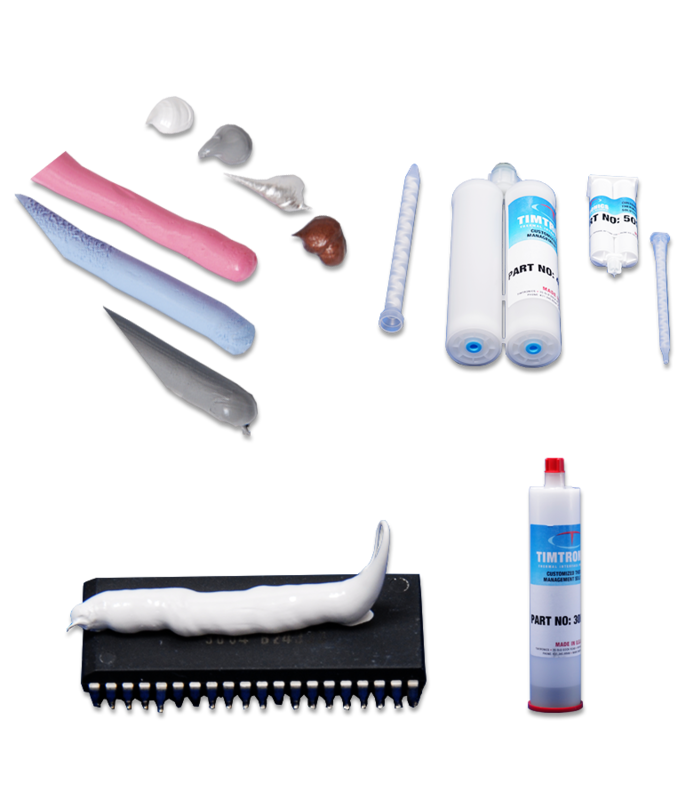 TIM-PUTTY is ‘Ultra Soft” and highly conformable one part,paste type, Non-Curetype gap filler. Its “ultra soft” consistency assures efficient heat transfer between delicate parts where minimum pressure can be tolerated. This Form-in-place gap filler is ideal for applying any thickness with little or no stress. It is designed to provide a thermal solution for the recent trends of integrating higher frequency electronics into smaller devices. TIM-PUTTY easily forms and adheres to most surfaces, shapes and sizes of components with very low compression force. Non-Silicone formulas avoid silicone contaminations to delicate devices. It can be easily dispensed from cartridges or pail using pneumatic dispenser. Gap Fillers are used to fill air gaps between components or PC boards and heat sinks, metal enclosures and chasses. Ideal for application where large gap tolerances are present due to steps, rough surfaces, and high stack-up. Gap Filler materials allow the designer to be less concerned with components proximity to heat sinks or heat spreaders. Zero Out Gassing. Low viscosity.